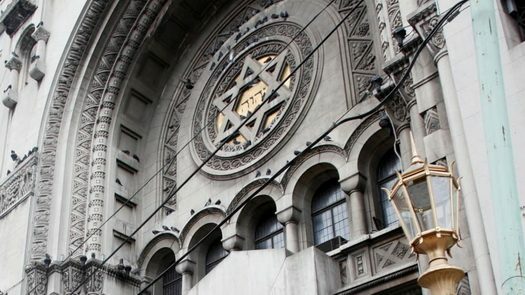 Unknown assailants attacked the Chief Rabbi of Argentina and his wife at their home in Buenos Aires early Monday morning. The Rabbi was hospitalized in serious condition following the attack. More than 20 vehicles were involved in a major pileup on Highway 15 in Canada near the US Border, Monday morning. 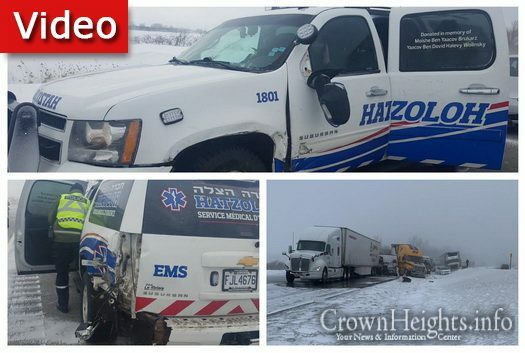 Montreal Hatzolah responded to the scene, after being called by two occupants in one of the vehicles involved in the crash. One of their members was involved in a crash while enroute. 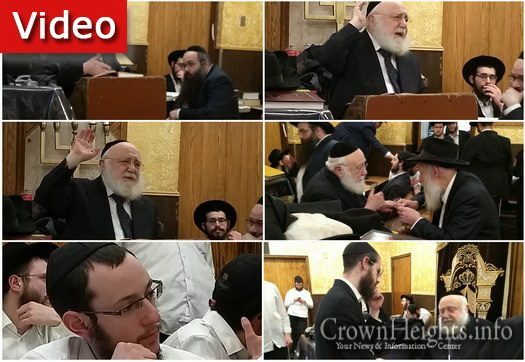 Rabbi Yitzchok Reitport made a special visit to 770 Monday, and gave a shiur upstairs in 770. The shiur given was on Gemora Psachim Daf Yud, and was well attended by the Bochurim learning in 770. 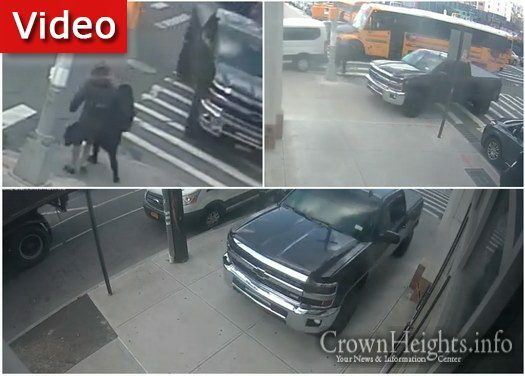 In another incident caught on surveillance camera, a pickup truck driver, fed up with Williamsburg traffic uses the sidewalk, scattering pedestrians. No one was injured in the incident. Watch as Rabbi Yitzi Hurwitz writes a message to the CTeens on this years slogan, “I Matter.” I was talented. I could teach, lecture, sing, dance and play guitar. I was strong and handy. Within two years, I watched that all slip away. My muscles that played guitar, gave to my congregation and danced at weddings lost their functionality. They call it ALS. 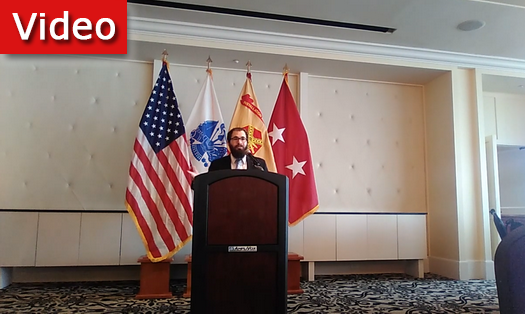 The APG Prayer Breakfast 2019 included speech by Rabbi Kushi Schusterman, Shliach of Hatford Chabad located in Bel Air, MD. 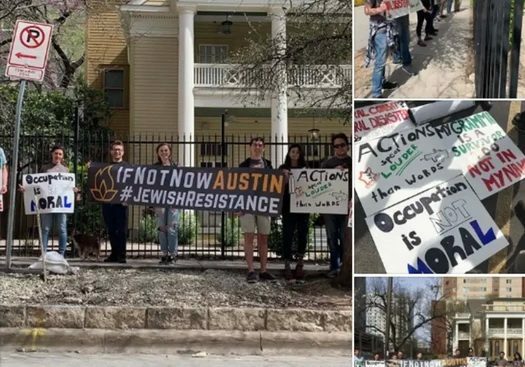 Shabbos at Chabad of the University of Texas was disturbed this week by protests from the IfNotNow movement. The protest were against a speaker that was scheduled at the Chabad House that shabbos afternoon. 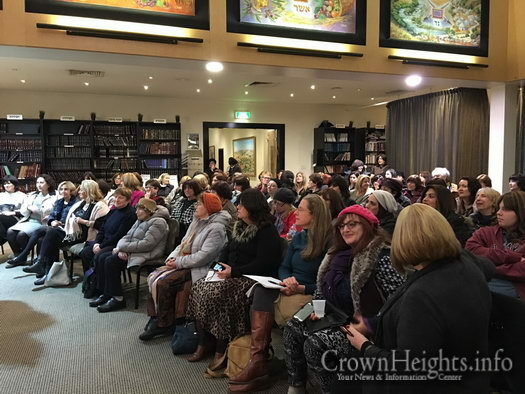 Over one hundred women gathered for N’shei Chabad of Melbourne’s very first fundraising Ladies Luncheon. 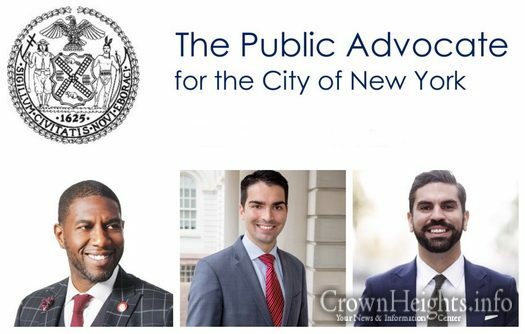 The luncheon was organized to raise funds towards keeping the upcoming N’shei Chabad Convention affordable for all who attend and, for providing subsidies for those who need. 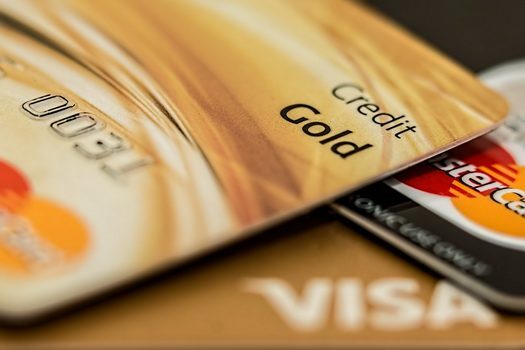 Everyone loves earning points and miles, and they should. It’s allowed me and many others to travel the world in first class and stay in five star resorts for free. But depending how you earn those points, some people end up paying a very high price.